Graduation is supposed to be a big deal for the graduating person and the family. And usually, it is followed by a great graduation party. And there is a very high chance you know what is being talked about here, even if it is not so big in your country. 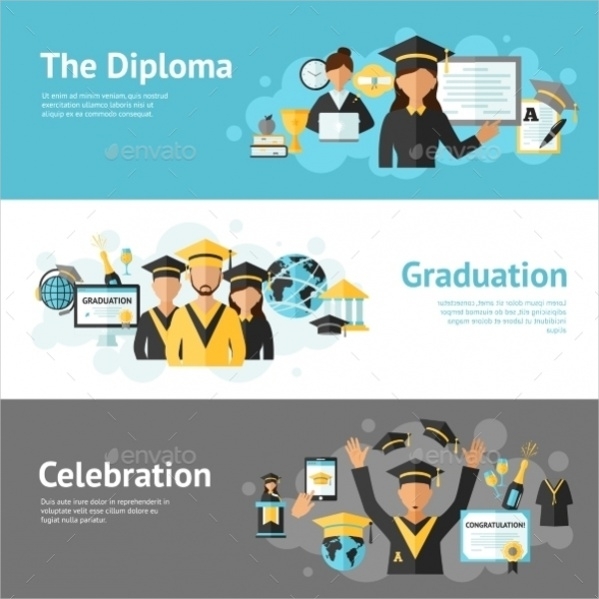 There are multiple graduation banners that are put up, and you as a graphic designer can check out some Free Banner Designs for various themes. But here the theme has been restricted to graduation banners. Check them out. Here is a design for a Graduation Banners that is the most basic one you will see and can probably design the same in the paint as well. You can personalize it by adding the name of the person like it has been done here. 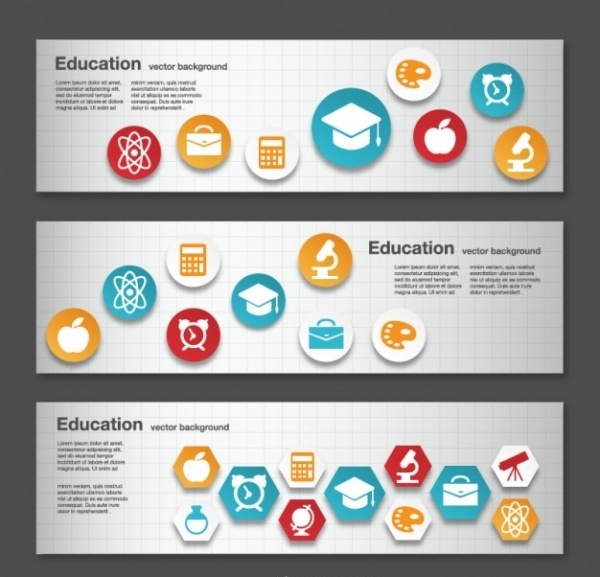 Here is a bunch of Education Banner Designs that have a cool collection of icons as well that you will find useful for not just graduation banners, but for any education related design. 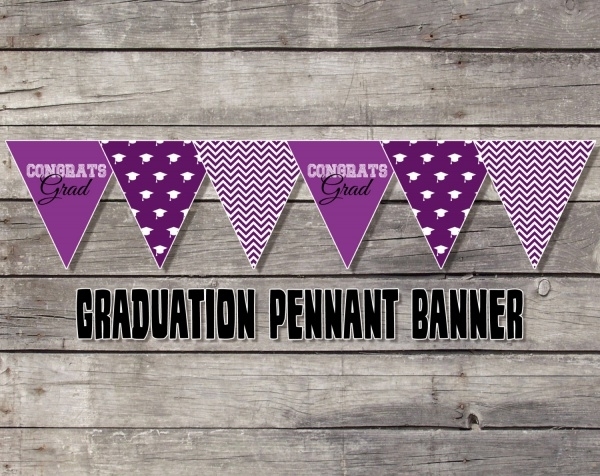 Here is a Congratulatory Banner Design for the graduation party of the person with their name on the design. The design is set in a size of 48 x 24 inches and set in three different colors for you to use. 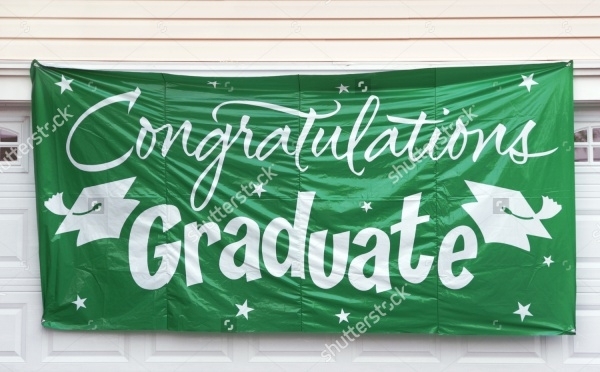 Here is a high-quality stock photo of an actual banner that had been put up to congratulate the graduating class. You can use this as a reference for your simple graduation banner design. Here is a banner design set in green and gold chevron with every letter of the word printed on a single paper flag. You can either use it as a reference or order it online from the given link. Here is a premium graduation banner design that you can use for a personalized design with an image of the person and such. This can also be used for various categories, like high school graduation banner or a for college graduation. Web banners are also a big thing these days. And for that, check out this collection of two different banner mockups by Alex Camp that you can use as a reference for your web designs. Here is a banner design set in shades of gold and black that can be a great design reference for your future banner design. Otherwise, go to the link and order it for the person who will be graduating soon. 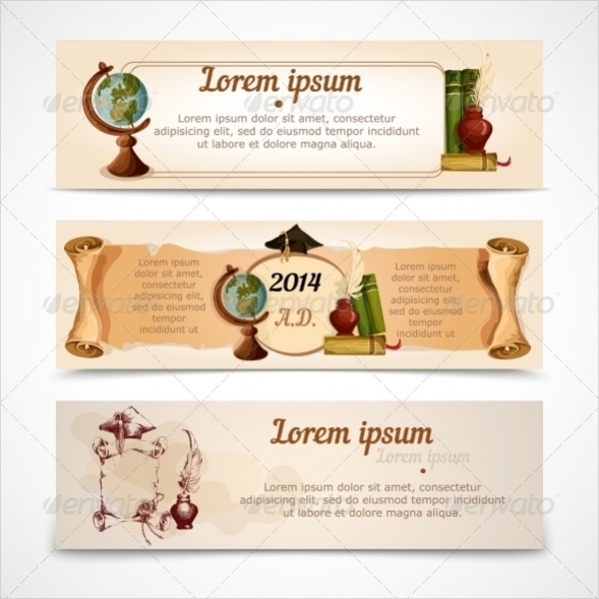 Here is a collection of vintage designs with a retro look for unconventional designs for a graduation banner. If you want to break out of the mainstream, this premium design will easily let you do that. 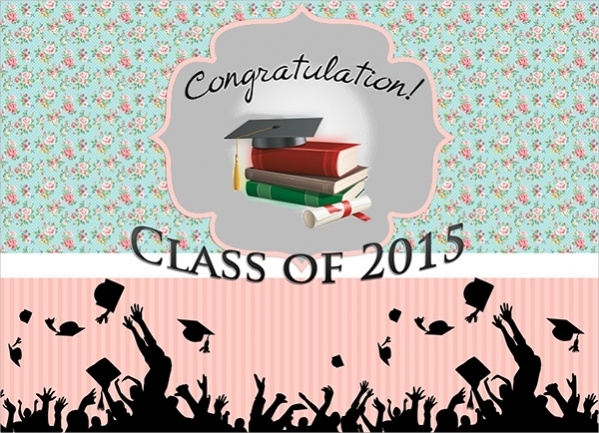 Fatimah Ahmed created this great banner design for the class of 2015 to congratulate them on their graduation. 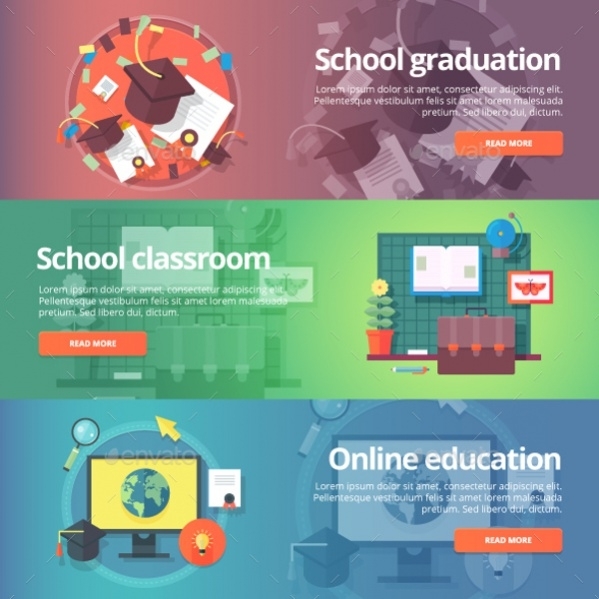 You can simply place in the different year and use it as a great choice of free design. The hats are going to fly during the day for graduation. 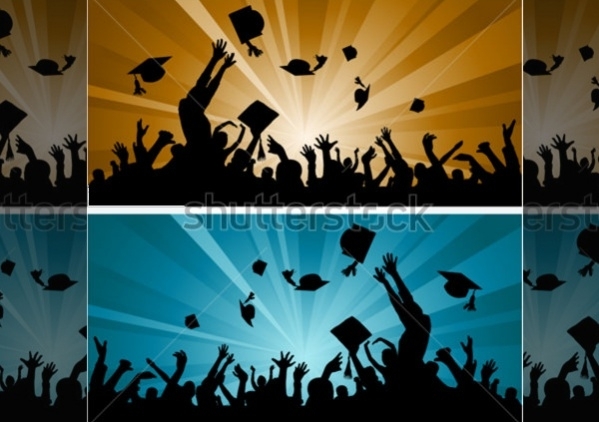 And you can just depict graduation with that image of people throwing their graduation caps. Here is a stock vector illustration of the same for you to use for free. 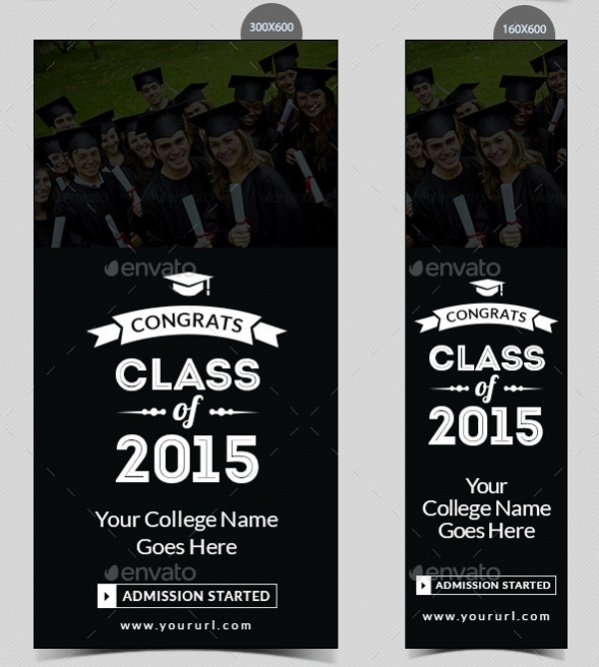 Check out this cool collection of graduation banner template that you can use even for preschool with little customization and editing. This premium pack of designs can be downloaded from the below-mentioned link. 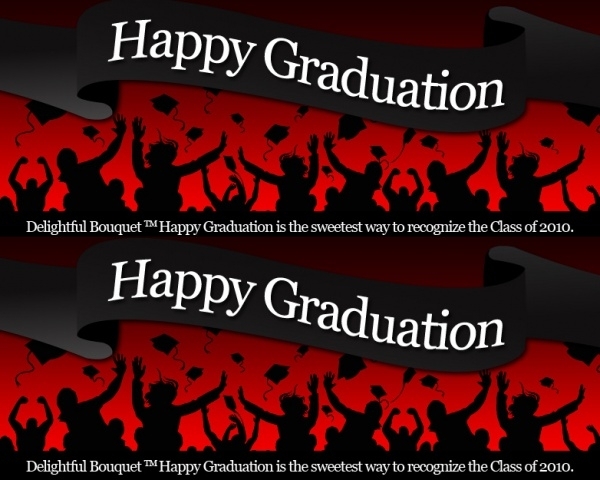 Here is a banner design which is not specific to the year or the class and just congratulates people on graduation day. This fully customized banner can be seen here at the given link. 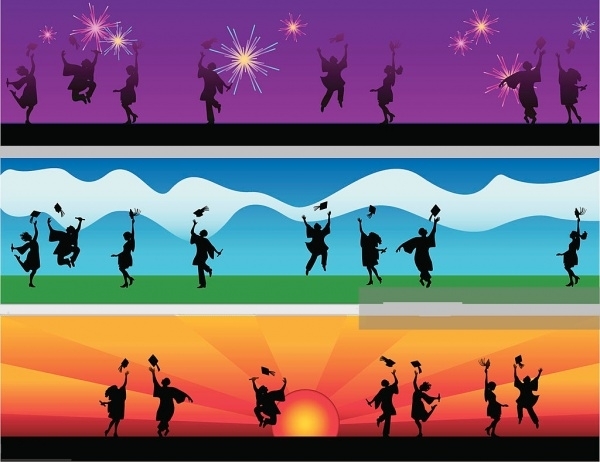 Here is a banner design that is also great parties prop to use. You can either order it online from the given link or simply use it as a design reference for some inspiration purposes. 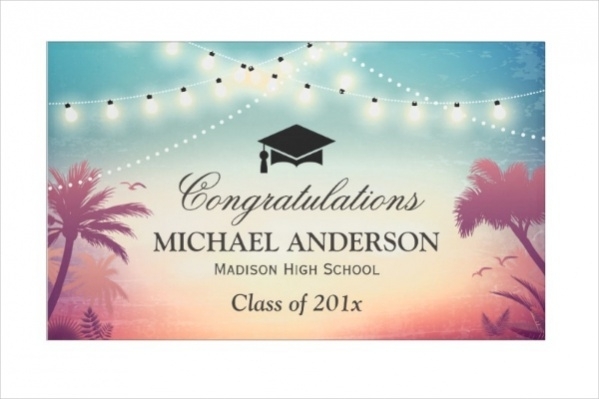 If you are having a themed party for the graduating person, then the theme can be showcased in the design as well just like this banner design with summer palm trees and string lights. Truth be told, there is no major science behind knowing how to work with and use these graduation banners. It is fairly simple. And is same as how you would use any other design reference as a mockup, or a template to customize. Once you have downloaded the design you want to use, open up your photoshop or illustrator, as those are the most commonly used tools. You can edit the text and place in the name of the person graduating to make it more personalized. You can also add their image as well for an even more personalized touch. These banners can be used over and over again for various designs. Make sure what you are working with is a vector as you might have to scale your banners to different sizes, and you wouldn’t want to lose the design quality, which will happen if you are working with jpeg or images. 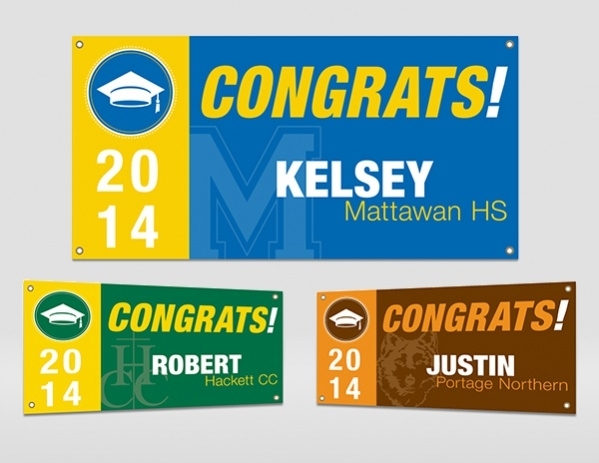 Use these graduation banner templates for your friends and family and share it on the web for others to see and maybe buy as well. You may also see Fitness Banners.